My great grandmother. Born Feb 2, 1857 and died Dec 7, 1933. She is buried next to her first husband - Herman Keller - and their daughter Mary. 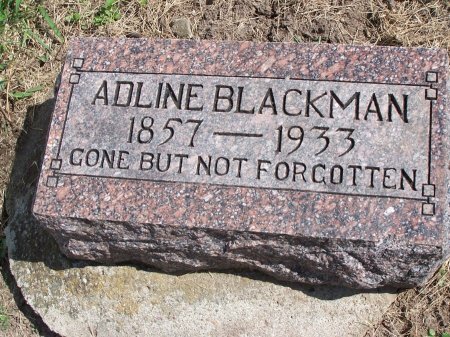 Adline's second husband - Thomas Blackman - is also buried at North Grove Cemetery. Adline's third husband Mel Tucker is buried at the Hillsdale Cemetery in Mills County. Searching for ADLINE CARY BLACKMAN in Mills County Iowa?